Hillary Clinton called in to Good Morning America this morning after the ISIS bombings in Brussels. 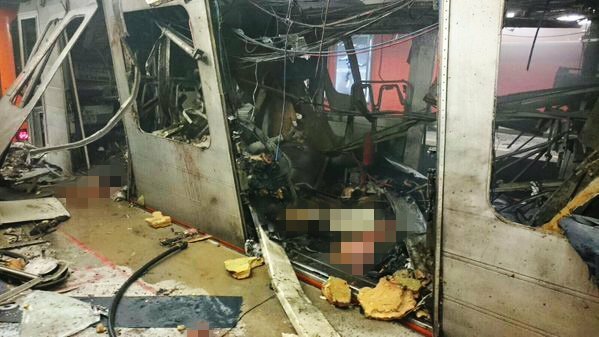 30 people were murdered in bomb blasts at the Brussels airport and Metro station. George Stephanopoulos: We just heard from Donald Trump tell us moments ago that he would expand the laws here at home so that someone like Abdelsalem was in custody here he could be waterboarded. Your response? Hillary Clinton: Well, you know, that is just another one of his claims that doesn’t bear up. Our best and bravest intel and military leaders will tell you torture’s not effective. It puts soldiers and our own civilians in danger. And, this loon wants to be president?